Dr Kamarudin Ab-Malek, CEO of TARRC, was awarded the 2014 International Rubber Research & Development Board's BC Sekhar Award for Research Excellence. 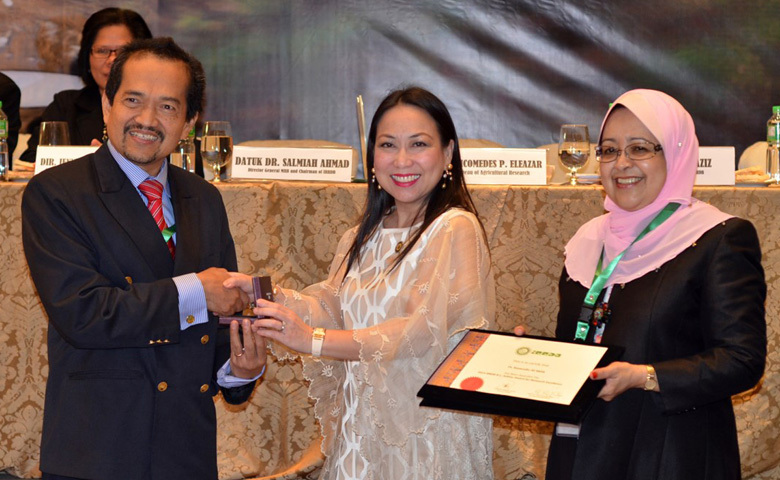 During the IRRDB International Rubber Conference, held in Manila, Phillipines from 24th-26th November, Dr Kamarudin was presented the award for his work on rubber in engineering and the promotion of seismic rubber bearing technology. Dr Kamarudin Ab-Malek, the presenter (centre) was Hon. Ann K Hofer, Representative of the 2nd District, Zamboanga Sibugay, Mindanao and Dr Salmiah Ahmed, DG of the Malaysian Rubber Board (right).